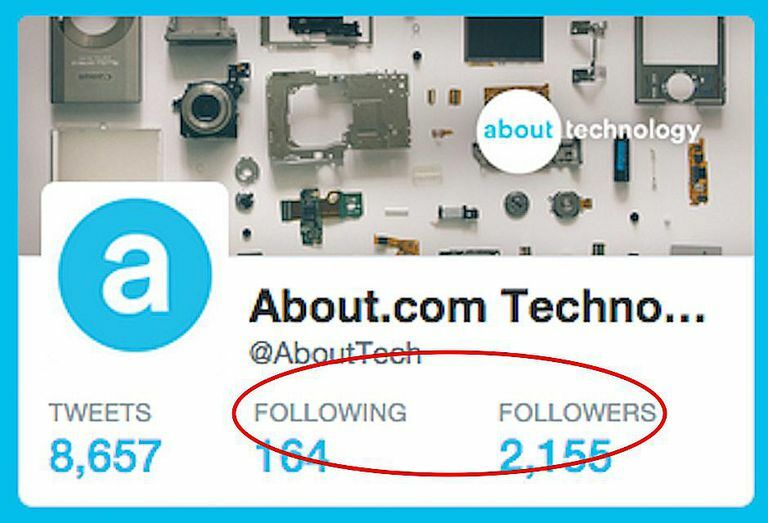 What Does the Word 'Follow' Mean on Twitter? What Does 'Follow' Mean on Twitter? The Twitter users you follow are the people or businesses whose updates you subscribe to. They show up regularly on your Twitter feed. You are following these other accounts. Twitter users who subscribe to the updates you publish follow you. When you post to Twitter, the post appears in the Twitter feeds of those people. People who follow you are called your followers. Every time you write a new update (or tweet) and publish it to your Twitter profile, it's available for the world to see (unless you set your account to make your tweets private). Inevitably, some people who are interested in what you have to say will want to know whenever you publish a new tweet. Those people select the Follow button on your profile page to subscribe to automatically receive your tweets. That means that when they log in to their Twitter accounts, their main Twitter feed page is populated with a chronological list of the tweets of everyone that they follow, including yours. The same holds true for people that you choose to follow. When you log in to your Twitter account, your home page shows a chronological list of tweets from everyone you have chosen to follow by clicking on the Follow button on their Twitter profile pages. You can choose to follow or unfollow any Twitter user you want at any time. The internet being the internet, some people say things on Twitter than they would never say in real life. Thanks to anonymity, they get up their cyber courage and say hurtful things. If mean things are directed at you, block the person who posted them, and that person will no longer be allowed to follow you. However, they can make a new account and follow you again and direct vitriol your way. Twitter is working hard (some might say not hard enough) to make this better, but for now, the Block button is your first line of defense. Remember it goes both ways. If you spout mean-spirited words, don't be surprised if you find yourself blocked.